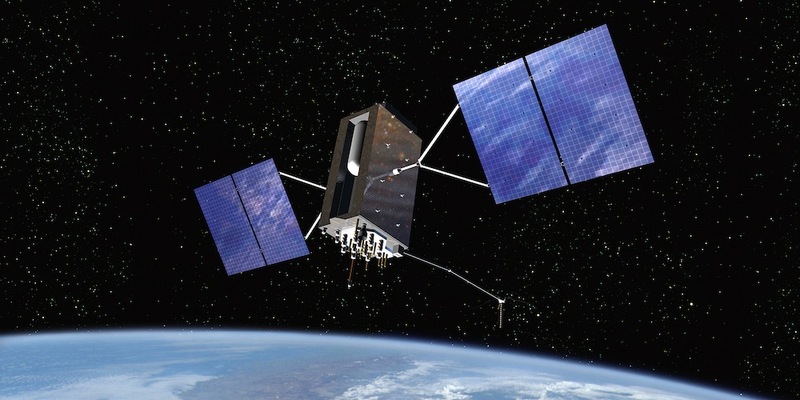 In 2008 Lockheed Martin began developing a new group, or “block,” of GPS satellites. More than 3.4 meters (11 feet) tall, these Block III satellites were designed to provide enhanced capabilities for both military and civilian GPS users. This artist's rendition of a new generation of GPS satellites.